Hi friends! The mad dash is on for me to put the final touches on my Christmas cards so I can get them all mailed out. Today I'm sharing a card made with the Festive Flurry bundle! 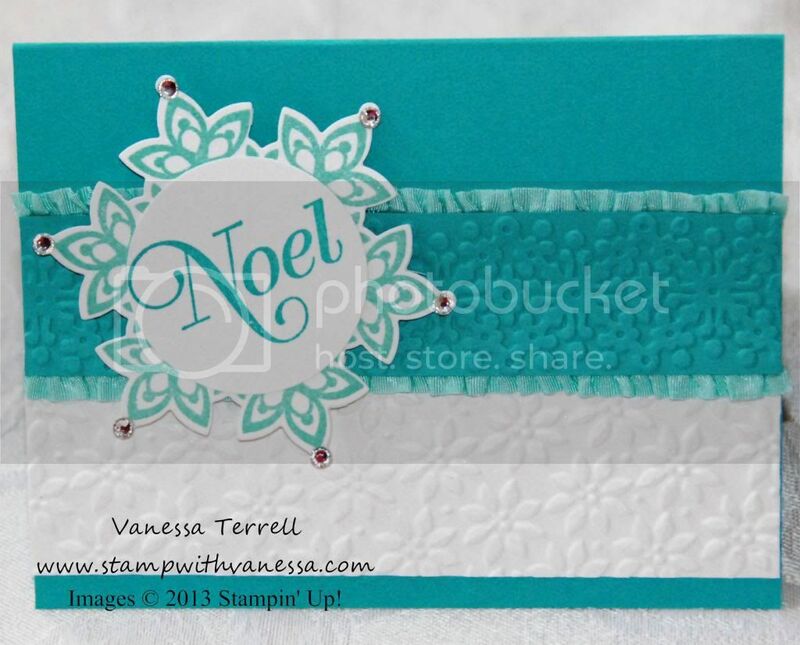 This card has lots of layers and some of my favorite Ruffle Stretch Trim on it. I also used two Embossing Folders. I had so much fun working on this card and I even added some bling! Let me know what you think.